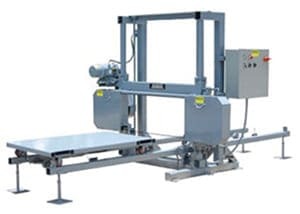 Bandsaw Manufacturers - Custom Industrial Bandsaws | Forrest Mfg. 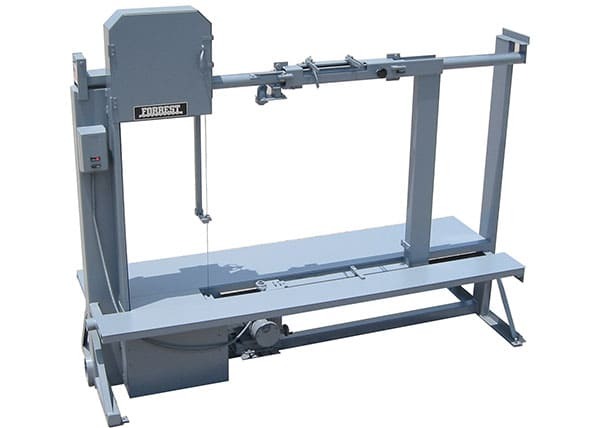 Co.
Forrest builds large industrial bandsaws for cutting low and medium density materials such as foam, insulation, plastics, and many other items as described on our “applications” page. Styles of machines include vertical blade bandsaws, horizontal blade bandsaw, tilting head bandsaws. 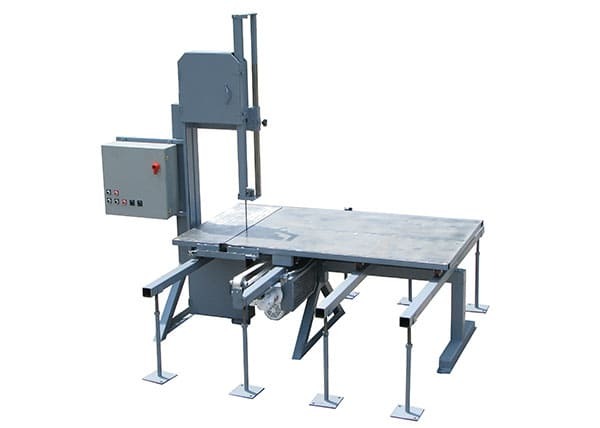 Most machines include moving tables or other specialty workpiece positioning equipment. Forrest also produces a line of insulation fabrication equipment which has become the industry standard for insulation manufacturers and fabricators. If one of our standard machines is not quite right for your application we are happy to discuss building a modified or fully custom machine for you. With more than 60 years of experience building bandsaws for industry, the bandsaw specialists at Forrest likely have cut your material on one of our machines. We love telephone calls that begin with “I bet you have never cut this before." Forrest's industrial bandsaws are designed to cut light and medium density materials, such as plastics, insulation materials, and soft and rigid foams. Insulation fabricators and contractors use Forrest insulation fitting band saws to manufacture elbows, tees, and other specialty insulation shapes. Forrest is a leading manufacturer of specialty and custom bandsaw with a 50 plus year history serving many industries. We possess a large selection of industrial bandsaws, but we specialize in modifying our basic designs for any unique application. Our high-performing custom industrial bandsaws deliver precise, clean cuts perfect for any specific need, even in continuous production lines that demand accuracy and dependability. Our custom and standard bandsaws include.